Samsung Knox is a security system that was included in the official update to Android 4.3 on Samsung devices. It’s a discontinued service these days, and came disabled by default ever since the Galaxy S6 and S6 Edge, so if you have a newer phone, there’s nothing to worry about. However, some older devices still have Knox installed and activated by default. Here’s how to uninstall Knox from Galaxy devices. 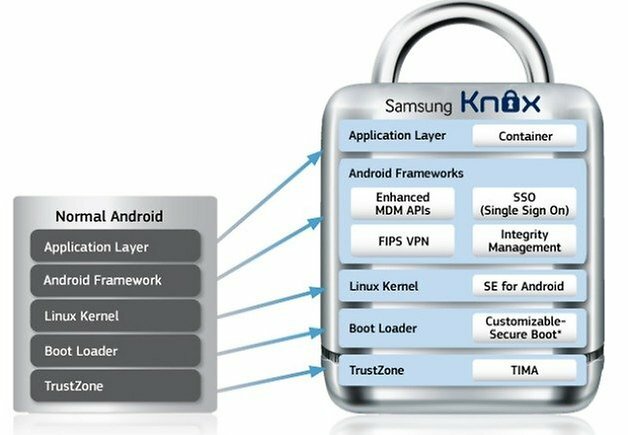 What is the current state of Samsung Knox? What were the problems with Knox? How does Knox affect the system? Samsung launched Knox in September 2013, but officially stopped supporting it in December 2017. The purpose of this security system, initially launched with the Galaxy Note 3 and the Galaxy Note 10.1 2014 edition, was to bring full protection for devices and make it easier to use devices for both work and play in Bring Your Own Device (BYOD) environments. Samsung discontinued My Knox in favor of the newer Secure Folder app, and as of December 2017, Knox no longer appears on the Play Store. Newer phones, such as the Galaxy S7, S8, or S9, as well as recent Note and A series devices, don’t use My Knox. If your device has Knox, you can continue to use it. Similarly, once uninstalled, My Knox can no longer be recovered from the Play Store. The My Knox portal still has some functionality. You can still unlock My Knox or reset your password to My Knox, for example. Nonetheless, users are encouraged to migrate to Samsung’s new solution, Secure Folder. 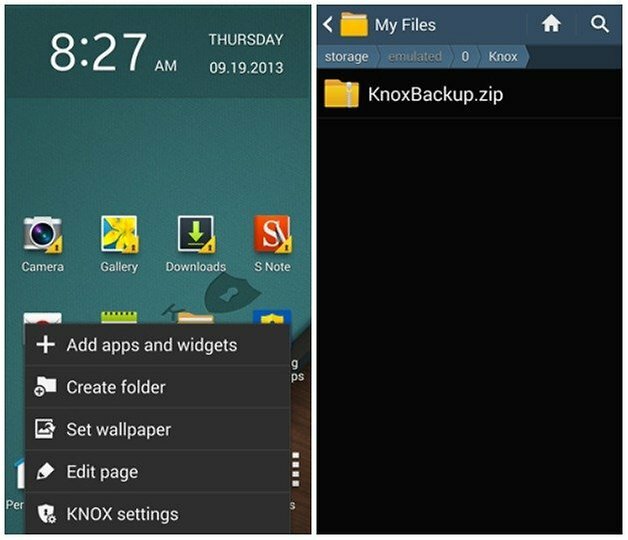 A Samsung account is required to use the My Knox backup and restore feature. 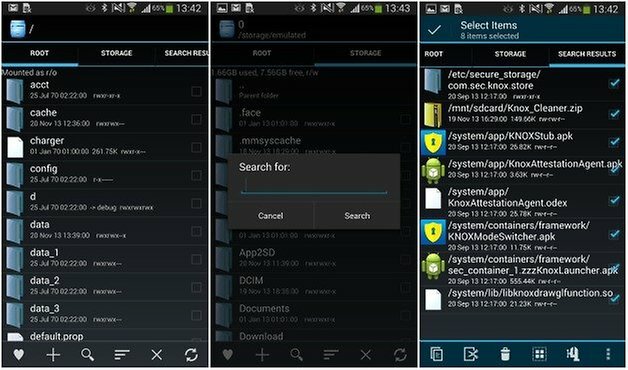 At the moment, Secure Folder is compatible with devices on Android 7.0 and up. Go to My Knox Settings > Backup and restore > Back up My Knox data. Head to the Play Store and install Secure Folder. After the setup, you can restore your data you backed up from My Knox. Applications that run outside of the realm of Knox have limited access to stored data. While many people wouldn’t bat an eyelid at this information, a number of developers would, including the likes of Chainfire, which created the popular TriangleAway app, designed for resetting the flash counter to zero on your device, and SuperSU. The problem is that the Knox security system prevents access to multiple applications when you root your device, and can cause problems with your warranty because modifications to your phone will trip the flash counter (and prevent it from being reset). The reason this is controversial is because Knox works with an eFUSE (autoconfiguration technology), used to keep track of when a device has been altered. This means that Samsung can use Knox data to reject requests for user support during the warranty period, because it would deem that the device had been damaged by the user. Samsung had already incorporated a counter in the bootloader, which keeps track of the number of times you have modified to the OS. The problem is that, as I mentioned, applications that run outside of the Knox container have limited access to the stored data, and consequently, apps developed by the modding community are negatively affected. 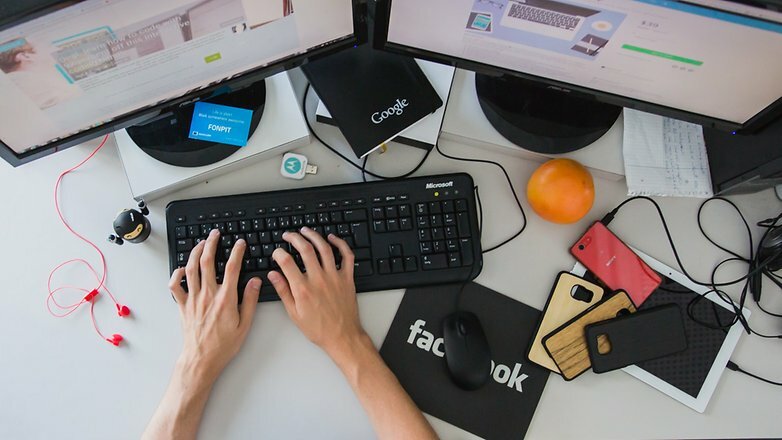 There are several methods for disabling Knox, which will also permit you to use applications such as SuperSU or RootChecker again. However, you cannot return the flash counter to zero because the “set bit warranty” included in the official Android 4.3 update prevents you from conducting a bootloader downgrade. Find the Knox app, launch it and tap on Settings. When uninstalling Knox, you will be asked if you want to back up your Knox data. If you say yes, it will be saved in your device’s Knox folder during the uninstall process. To back up this data, select Backup Now, and then OK. Note: Personal data, such as photos, music files, contacts and calendar events are copied during de-installation. However, email and application data are not. Enter your Knox password and hit Continue. Choose Next. Your data will be saved before the uninstallation process is complete. Select OK to uninstall Knox. Tap on Menu > My Files > All > Knox. There will be a zip file with your personal content from Knox. If you have a microSD card, select All > Storage Device > Knox instead. Run Root Explorer and in the magnifying glass search function, type Knox. Select all files with the name Knox. Remove them and reboot your Samsung device. Perform a backup of all the data from your device. Flash the following file provided by XDA Developers: KNOX removerV2.1.zip. (Go to page: XDA-Developers). Delete all files labeled Knox. What are your thoughts on Knox? A positive security solution or an annoyance? Share your views in the comments.